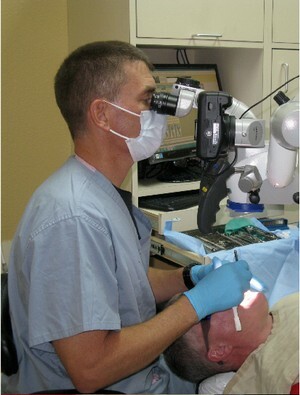 Dr. Lee Fulsaas attended undergraduate college and dental school in Iowa. He joined the United States Air Force in 1990. He served as a general dentist for 14 years with the USAF Dental Corps. His military assignments offered unique challenges and opportunities along the way, from a remote Alaskan village, to a small island 2200 miles off the Atlantic Coast called the Azores; from Turkey to Guam, to duty stations from California to Virginia. Regardless of whether Lee was practicing stateside or in austere, overseas locations, he has always enjoyed serving the community and his patients. Dr. Fulsaas graduated from specialty training in endodontics in 2006 and selected Texas as his choice to homestead and raise his family. Dr. Fulsaas is a member in good standing with the American Endodontic Association, American Board of Endodontics, and the American Dental Association.